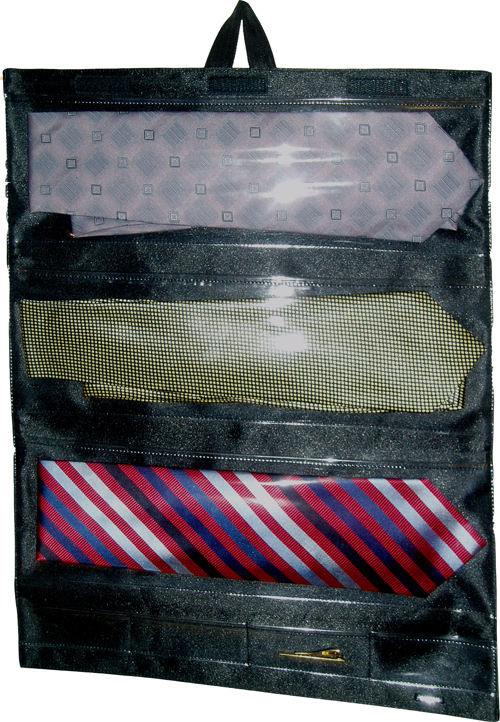 Practical tie case that is excellent for people who travel a lot and want their ties to stay in perfect condition. Three transparent pockets that shape according to their contents and can hold three or six ties. At the bottom there are four smaller pockets for tie holders and cuff links. 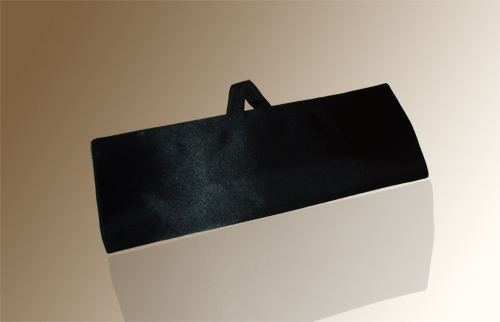 Can easily be hung on a hook in the bathroom or on the inside of a closet door. 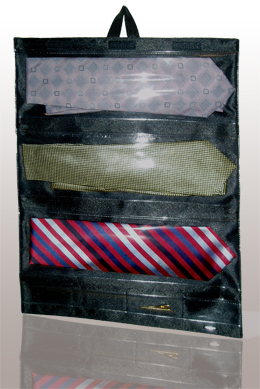 If you are traveling, the tie case can be folded and put down in your suitcase.